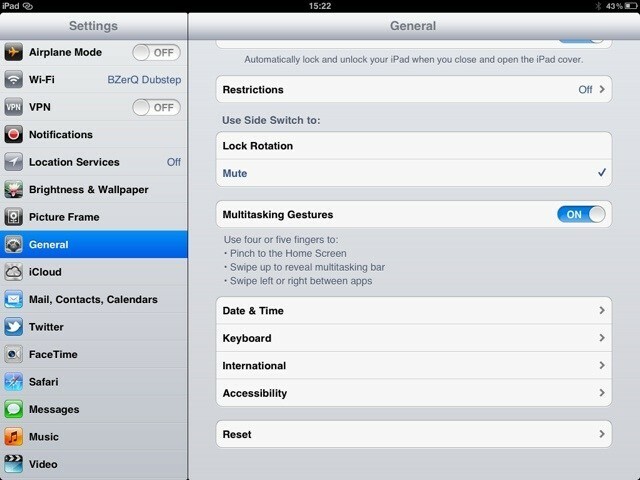 I’ve had a couple of support emails recently from people with iPads having no sound from DanceTime Deluxe. Since the fix has been the same in each case, I thought it prudent to share the fix here in case you need it. Basically, there was a bug in an Apple firmware update that added the ability to select the function of the side switch between mute and rotation lock. This bug affected the sound in some apps, and is very simple to fix. Simply go to Settings->General and switch the “Use side switch to” from whatever it’s set to, to the other option and back again. This should solve the problem with some apps that use sound. Enjoy Dancetime Deluxe, and happy dancing.